Happy Monday Crafters, I hope you all had a good weekend. 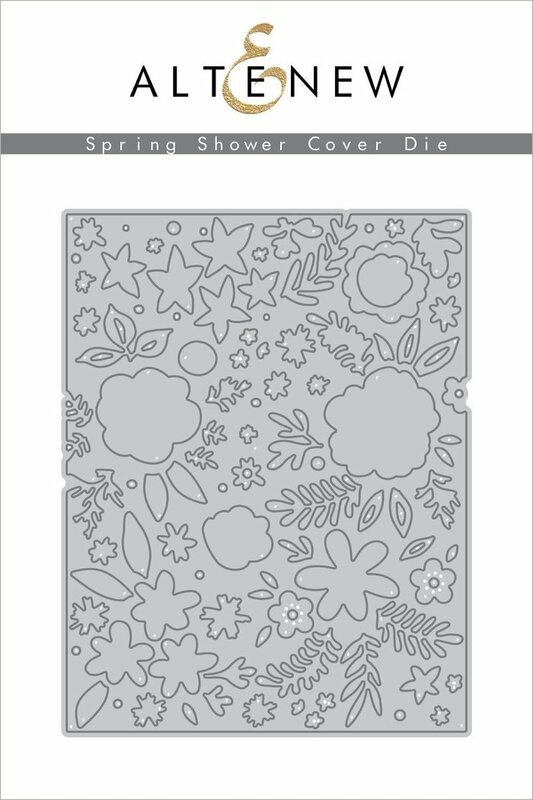 Today's edition of "3 Ways With" is all about the Spring Shower Cover die from Altenew. 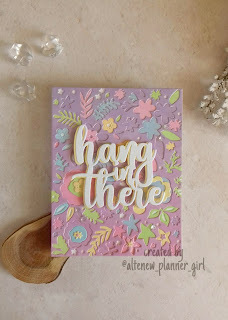 I was totally inspired to use this die by the sunny weather and all the seeds and bulbs I have been planting recently. Is it just me or does the sight of a shoot popping through the soil surface spark the ultimate joy? The die cut panel can be used as a stencil for either spraying through, doodling through or to add ink. 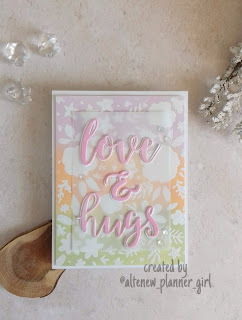 I decided to use it to add embossing ink over an ink blended background. I then heat embossed the pattern in crisp white embossing ink. I added a sentiment using script word dies and the ampersand from the Merry Christmas die set. I cut this in both white and pink. I added the sentiment on to a piece of vellum before placing it onto a card. 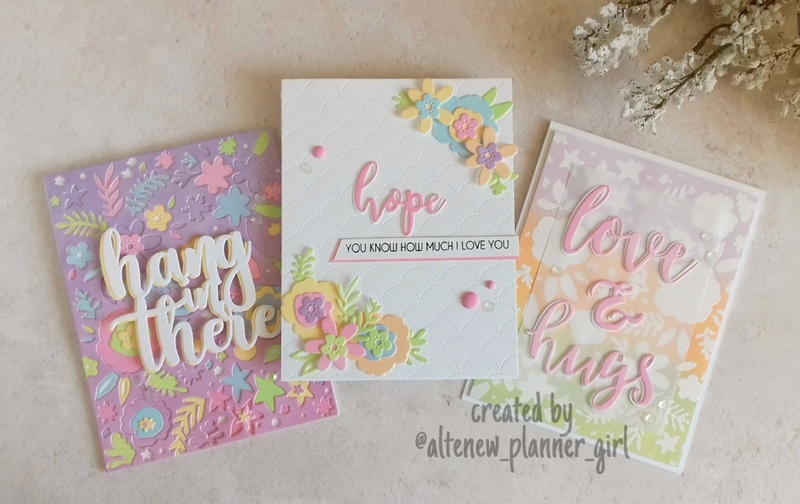 I cut the Spring Flower cove die from 6 different coloured piece of card, I chose spring colours that would look good for the floral theme. The packaging shows a layering guide on how to put the die cut piece together but I went rogue and made my own designs. 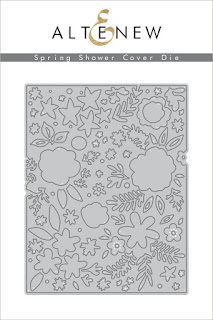 I added the flowers to a background panel from the Dotted scale cover die. 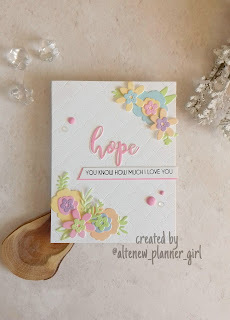 The sentiment is from the Hope stamp and die set. I had lots of the flowers and leaves from having cut the die 6 times so decided to do a little inlaid/paper piecing project. Trying to find which little piece goes where can be tricky so keep the die and or the packaging close to hand to refer to. I added a sentiment using the Hang in there die, which I cut from white and one of the colours from the flowers to create a drop shadow effect. I hope I've given you some inspiration on how to use the Spring shower cover die, If you do create a project based on what I've shared please tag me on social media as I'd love to see your creations. Gorgeous cards! :) Thank you for sharing your ideas!